Fold out poster/program and tote bag for Art21 Season 8 premiere on PBS, focusing on selected artists living in 4 different cities. 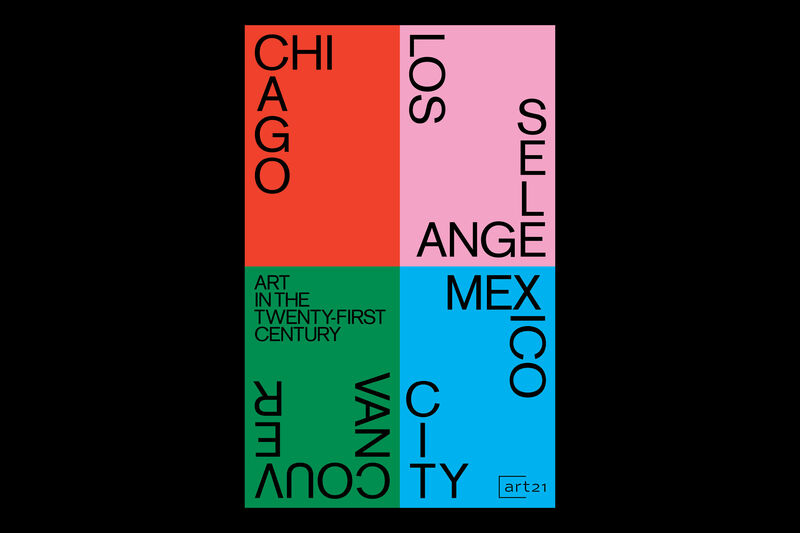 For the first time in the show’s history, the artists in Season 8 are grouped by their relationships to the places where they live: Chicago, Los Angeles, Mexico City, and Vancouver. 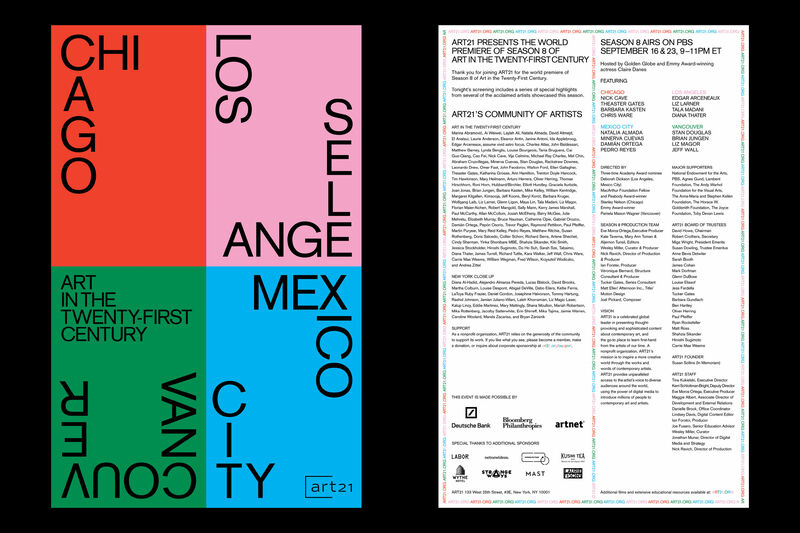 Included artists in the season are Natalia Almada, Edgar Arceneaux, Nick Cave, Minerva Cuevas, Stan Douglas, Theaster Gates, Brian Jungen, Barbara Kasten, Liz Larner, Tala Madani, Liz Magor, Damián Ortega, Pedro Reyes, Diana Thater, Jeff Wall, and Chris Ware. 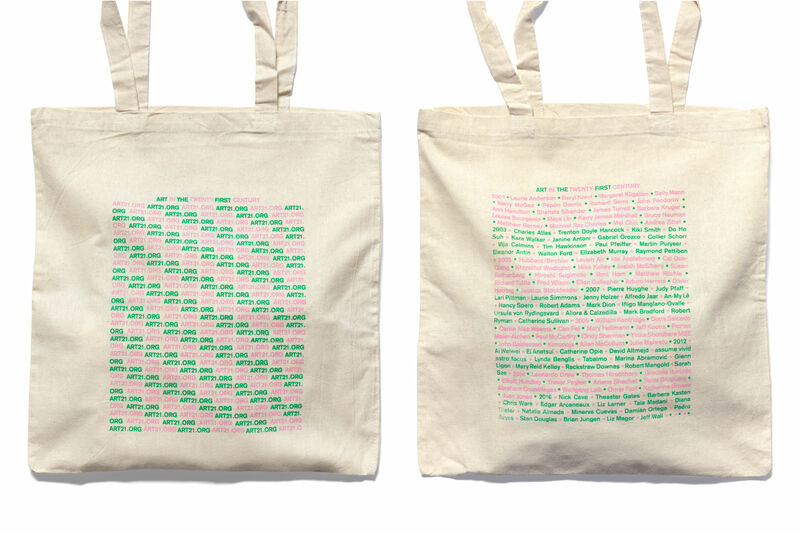 The tote bag lists the names of all artists that had appeared on ART21 up till 2017.